A a five days Workshop of World Customs Organization (WCO)'s Green Customs on Environment Border Protection is underway in Faridabad, Haryana. When the presentation on Rotterdam Convention was over, one asked whether WCO & the customs of its member countries have the competence to segregate and identify all kinds of asbestos. Whether they would be able to distinguish between chrysotile & others.The resource person from Europe was speechless. But an Australian lady participant said, in her country there is Zero tolerance, the same cannot be said about Europe. Responding to it a Dutch participant said, from June 2009 onwards even in Europe, there would be Zero tolerance. One of the Indian focal points of on Rotterdam Convention from Agriculture Ministry informed & corroborated what was known as to how Ministry of Environment which wished chrysotile to be included in the PIC list at the last COP of the Rotterdam Convention in Rome was overruled by Chemicals Ministry। Although I have doubts but he said, this time around India is unlikely to oppose its inclusion in the PIC list. the Convention list all kinds of asbestos except chrysotile in its listof prior informed consent for hazardous substances. Customs officials seemed more progressive than other officials of the government, however, the same cannot be about the Chinese Customs who favoured nation specific definitions of hazardous materials and wastes. They are discussing all the relevant Multilateral Environmental Agreements (MEAs). It is co-organised by UNEP & National Academy of Customs, Excise and Narcotics (NACEN), India. WCO has launched a Green Customs Initiative. 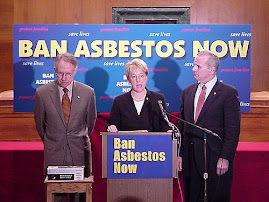 It's now well established in the news that Health Canada deliberately and shamefully, if obediently (the CMA Journal thinks the orders came from the Prime Minister's Office), attempted to anti-democratically suppress an expert report concluding that chrysotile asbestos, the only type Canada still manufactures and which is exported because the domestic markets consider it too unsafe and carcinogenic for normal use, is after all carcinogenic and dangerous to human health. This would presumably take away our last good excuse for not agreeing to register chrysotile on international covenants banning free trade in such hazardous chemicals. Plenty of other people have already hit on the key problem here, which is the hypocrisy of our foreign policy on this subject: pompous rhetoric proclaiming Canada the defender of health and security and good things everywhere, while we fight efforts to put asbestos on the Rotterdam Convention because it causes cancer and therefore must be restricted. The point is well-made and you can find it ably put forward by Dr. Dawg. First, the Freedom of Information issue. I've blogged on this before. Briefly, however, access to government information in Canada is bordering on pathetic. It's not necessarily a problem with law or even policy (though as someone who thinks all state secrecy is illegitimate, obviously I think those need to be totally rewritten). Rather, it's simply a matter of not following through. The government is simply not in compliance with the time limitations set on access to information procedures. Sometimes, in fact, they try to make the problem worse - as they did in a new directive at the same department, Health Canada, earlier this year. As I wrote at the time, the Act establishes a 30-day time limit to respond to a formal request. Realistically, it almost always takes several times that - even if the information isn't politically sensitive. Normally when I raise this issue, it seems like a relatively unimportant one - after all, it's really just a question of how long researchers will have to be inconvenienced by bureaucratic foot-dragging and under-funding right? Not necessarily. Consider: it reportedly took ten months to obtain the report. That means that under-funding the Access to Information program effectively allowed the government to suppress a report nine months longer than it should have been allowed to, under Canadian law. We could have dealt with this issue last summer. Interestingly, the government doesn't seem in much of a hurry to act on the conclusion of the report. That was so a year ago, when it decided that it could avoid acting by hiding the report from public view behind layers of protective, secretive, swaddling bureaucracy. And it is true now, as well. The Health Canada website continues to insist, as it has since the report was completed in secret, that chrysotile is a safer alternative to amphibole asbestos. The website implies that there is a cancer risk to the banned amphibole, but not to the chrysotile. In theory, the report was completed in the first place so that we'd know whether that was true. Health Canada got the report, realized it wasn't true, but kept their website the same after all. So much for openness and transparency, even where human lives are concerned. More disturbing to me, though, is the government's relationship with the Chrysotile Institute. 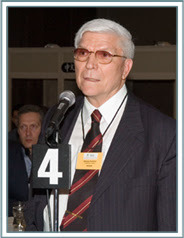 Asbestos Institute - "With the cooperation of the governments of Canada and Québec, the Institute also works with governments in other countries to promote the standardization of asbestos regulations... The Institute publishes two different semi-annual newslettesr, as well as numerous documents and videos on health, safety and asbestos products." Chrysotile Institute - "With the cooperation of the governments of Canada and Québec, the Institute also works with governments in other countries to promote the standardization of chrysotile regulations... The Institute publishes bimonthly newsletters, as well as numerous documents and videos on health, safety and chrysotile products." The Chrysotile Institute remains reliant on government, which supplies about one-third of the funding. That was $250 000 per year in 2006, apparently, when Nash wrote a memorandum defending the program. Quebec pitches in the same amount, and together, since 1984, they've paid around $50 million to the Institute. Canada Economic Development disclosed the grant in 2007, and it's mentioned in budget papers as "fostering the safe, responsible use of chrysotile." But Nash's memo was secret (until it was released under Access to Information), and could therefore be more frank: the Institute was a "reference centre for an international network of producers and users" and "chrysotile mining communities" would suffer if the Institute's funding were cut. Allowing ongoing contamination of once pristine beaches in India, Bangladesh and Pakistan, United Nations' International Maritime Organization (IMO) adopted an International Convention on Ship Recycling in Hong Kong, China on May 15, 2009 despite concerns about vulnerable workers and coastal environment. Unmindful of the democratic process underway in India, IMO, EU and other participating countries unethically adopted the treaty at the IMO Diplomatic Conference following deliberations during May 11-15, 2009 even as the entire Indian government machinery remained occupied with the parliamentary elections. A European Parliament resolution also condemned the breaking of ships on beaches this year but Europeans countries chose to adopt the treaty with such condemnable practice. Ships are dismantled primarily for secondary steel but ships are laden with hazardous waste and substances such as asbestos, oily wastes, PCBs and toxic paints. Notably, the issue of radioactive secondary steel and hazards from it remained unaddressed. Trade Unions and NGOs working in the fields of workers rights, human rights, environment, and health, express total lack of faith in the proposed UN treaty on Ship Breaking/ Ship Recycling through IMO because its the provisions in the treaty are regressive in nature. There were concerns over the entry-into-force criteria but now it has been decided by the IMO that the International Convention for the Safe and Environmentally Sound Recycling of Ships should come into force 24 months after the entry-into-force conditions are met requiring not less than 15 states to ratify the convention.IMO conventions historically took five years after approval before they were finally ratified, but the IMO now had a three-year ratification target. The treaty ends up giving incentives to those companies who exploit workers and pollute coastal environment. It is sad that now international legal provisions regulating trade in dead and obsolete ships would be in a suspension of sort. IMO is following the footsteps of the WTO and its position on ship recycling proves that the institution is fundamentally flawed, designed to place corporate profits above the need to protect our environment, occupational health and even democracy. Ship breaking/ Ship Recycling is industrial activity for the production of secondary steel. IMO has no competence to deal with such an industrial process which is competent only in maritime matters. The draft IMO Convention on the Safe Recycling of Ships is a text has been prepared at the behest of the by the global shipping industry in general and European ship owning countries and ship owners in particular. It legitimizes the ongoing exploitation of workers, villagers and the marine environment and at the end of the life of a ship. As long the ship breaking operations has continued on pristine Alang beach there has not been and there will never bee safety either for workers or for the coastal environment. The treaty fails to stop the fatally flawed technique of breaking ships through “beaching method”, where ships are cut open in the sea and tidal flats of the beaches of south Asian countries in a method in which it is impossible to contain oils and toxic contaminants from entering the marine environment, bring lifting cranes along side ships to lift heavy cut pieces or to rescue workers and bring emergency equipment (ambulances, fire trucks) to the workers or the ships Protect the fragile intertidal coastal zone from the hazardous wastes on ships. The IMO treaty does not call for removal of ship breaking/ ship recycling operations on pristine beaches. It promotes ongoing pollution of the marine environment with impunity and it ensures that ship owners and ship owning countries escape accountability for their contaminated ships. This UN treaty does not alter the current grave yard status of shipbreaking yards in India, Bangladesh and Pakistan. 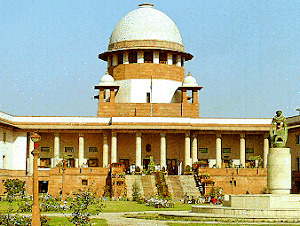 The treaty is an attempt to undo the work done by the global environmental movement of the past to legislate and regulate through the UN’s Basel Convention on the Control of Transboundary Movements of Hazardous Wastes and their Disposal, which has been endorsed by the Supreme Court of India. The IMO treaty does nothing to prevent hazardous wastes such as asbestos, PCBs, old fuels, from being exported to the poorest communities and most desperate workers in developing countries and ignores Polluter Pays/Producer Responsibility Principle, Environmental Justice/Transfer no Harm Principles, Waste Prevention/Substitution Principles and Principle of Environmentally Sound Management. The treaty promotes externalization of cost of pollution that was so infamously championed by the Lawrence Summers, the Chief Economist, World Bank so that real costs and liabilities of ships at end-of-life gets transferred to developing countries like India. The proposed IMO treaty is just a tool to further the unfair trade practices being advocated in the WTO at the behest of European governments in particular. The fact remains there is no unfair trade that does not fall under the ambit of WTO. Local regulations such as in India requiring that imported products meet local standards on such matters as recycling, toxic substances, labelling and inspection can be easily overruled by the WTO Appellate Body, this IMO treaty makes their work easier. Consequently, we reject this act of legislation by a UN body on a subject which is beyond its competence and jurisdiction. In any case it was unethical for the current Indian government officials to have been party to an international treaty at this stage. The adoption of the treaty is akin to writing the obituary of the UN;'s Basel Convention on Transboundary Movement of Hazardous Wastes and Their Disposal through the existing text of the IMO treaty on ship breaking /ship recycling. Basel Convention is a UN treaty controlling such hazardous wastes with 170 member countries and prohibiting the export of all hazardous wastes to developing countries, and they have adopted shipbreaking guidelines calling for a phase-out of the use of beaches for breaking ships. It is noteworthy that IMO disregards the fact that some 80 percent of the global end-of-life ships are broken in India, Bangladesh and Pakistan on tidal beaches whose soft sands cannot support crucial safety measures such as heavy lifting or emergency response equipment and which allow pollution to seep directly into the delicate coastal zone environment. No country in the developed world allows ships to be broken on their beaches. Ship breaking is possible with proper technologies and infrastructure, and enforced regulations but most ship-owners choose to sell their ships through dubious cash buyers in tax havens by under reporting the price thus indulging in a black economy. New Delhi/05 May 2009: Alarmed by the epidemics of lung cancer caused by White Asbestos (Chrysotile Asbestos), a team of Canadian officials met an Indian delegation of trade unions, occupational and environmental health experts and researchers to discuss the human cost of continued use and trade of white asbestos products. This happened in the wake of the shocking act of Canadian government to continue its promotion of the killer fiber by “a grant of $ 250, 000" in its current budget despite Health Canada report indicting the Quebec and Canadian government’s disgraceful support to the asbestos industry and the recent report “India’s Asbestos Time Bomb” revealing corporate barbarism of worst kind. The Canadian government in liaison with the Indian asbestos industry in collusion with government has unleashed a misinformation campaign about the mythical safe and controlled use of asbestos products, unmindful of the fact that so far some fifty countries have banned all forms of asbestos, and are already using alternative materials. Canadian High Commission and the Indian delegation comprised of Amjad Hassan, Delhi Asangathit Nirman Mazdoor Union, Dr. T.K. Joshi, Occupational health expert, Gopal Krishna, Ban Asbestos Network of India and Anup Srivastava, Building and Wood Workers International. 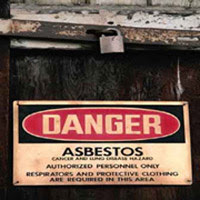 The Indian delegation submitted a letter of appeal to the Government of Canada through its High Commission in New Delhi seeking to review its policy in promoting the use of asbestos, especially in the developing countries like India. The ILO has estimates more than 100,000 deaths due to Asbestos every year. There is no safe and acceptable level of exposure. This is the preventable industrial health calamity of the modern era and aptly reflected and recognized by the ILO and WHO Resolutions of Year 2006. Illustrating the same Kerala State Human Rights Commission has noted that exposing workers and consumers to asbestos fibers of all kinds including chrysotile constitutes violation of human rights in its order dated 31st January, 2009. Canada along with Russia, Kazakhstan, Zimbabwe etc. is one of the largest exporters of asbestos and we - the trade unions are concerned about your government's apathy for the occupational and public health of citizens and workers in India. 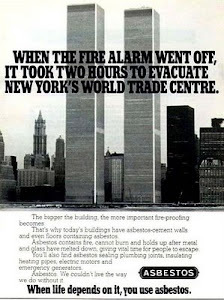 Further the massive advertising campaigns in developing countries to make people believe that asbestos is safe, while the facts state the contrary is unethical. Thank you for the appointment for our delegation. The Delhi Asangathit Nirman Mazdoor Union (DANMU), an affiliate of the Building and Wood Workers International (BWI) (www.bwint.org) appeal to the Government of Canada to review its policy in promoting the usage of asbestos, especially in the developing countries like India, Vietnam, Indonesia etc. The ILO has estimates more than 100,000 deaths due to Asbestos every year. There is no safe and acceptable level of exposure. This is the preventable industrial health calamity of the modern era and aptly reflected and recognized by the ILO and WHO Resolutions of Year 2006. Illustrating the same Kerala State Human Rights Commission has noted that exposing workers and consumers to asbestos fibers of all kinds including chrysotile constitutes violation of human rights in its order dated 31st January, 2009. The recent report “India’s Asbestos Time Bomb” is enclosed. So far, some fifty countries have banned all forms of asbestos, and are already using alternative materials, we urge the Canadian Government to also follow suit.